Probably the hottest new band to hit the local scene in the year 2000, was this enterprising twosome. The duo cites the Beatles melodicism and the ‘wall of noise” approach of bands such as My Bloody Valentine as influences. Judging from this, their first full-length outing, those assessments seem pretty much on the money. Guitarist Brandon Summers handles the vocal duties, while drummer Benjamin Weikel adds keyboard flourishes. Together they produce and engineer their dense compositions, creating a thick sonic atmosphere. The lead track, “Stracenska” illustrates their technique. Summers’ crusty guitar feedback swirls around Weikel’s flutey keyboard washes, burying the vocals in the mix. After about 3 minutes, things simmer down a bit, recalling U2 in their Rattle And Hum period, as the subdued vocals become more upfront. The psychedelic romp ‘Just Mary Jane” bubbles like a warm bong, while proselytizing the merits of the bud. Dancing organ pads, warbling flute arpeggios and other synth miscellany skip across the syncopated shuffle rhythm, fleshed out by Summers’ shimmering guitar musings. “Transistor Radio” begins with the familiar scan of a radio dial, before dissolving upon a keyboard drone, pulsing bassline and luxuriously cascading slide guitar, before finally evolving into Beatlesque psychedelia, replete with Ringo-like drum fills and fresh-squeezed Lennon vocals. A quite affective George Harrison-influenced guitar breakdown in the middle helps to solidify the whole track. The droning wash of sounds at the beginning of “My Heart” sets the mood, before launching into the two-chords of the verse. A gorgeous chorus gently sneaks into the mix, before ineffably disappearing back into the sonic haze. Very nice. Dithering keyboards dominate “Sassafras,” as waves of guitar and other keyboard noises crowd the landscape, rolling over the horizon like a driving rainstorm. A truly inspired, ethereal track. Vocals singing in rounds create a lilting quality on the brief “Stitches Sewing,” a keyboard dominated track. But the song ends too soon— before it comes to a ,proper musical conclusion. HS’s take on the Beatles’ “Tomorrow Never Knows” is reverent (Weikel’s drumbeat is a replication of Ringo Starr’s original), but unique. The group speeds things up a notch, lending the thirty-five year old tune new energy, but not necessarily anything new musically: which only goes to prove how groundbreaking the original 4-track recording was in back in 1966, when Summers’ and Weikel’s parents were youngsters. Synth sounds and effects set the scene on “Big Jet Sky” before Summer’s guitar charges in, along with Weikel’s drums, noticeably thickening the drone stew. The boys get a lot of mileage out of a single chord, manipulating that fixed continuous tone with dexterous imagination. An ambiance similar to those created by Radiohead on Kid A, informs “Demographics.” Randomly pitched sine waves vie against discordant organ tones in support of a lilting guitar motif, before it slams into a highly charged, moaning guitar riff; resolving in a dramatically serene verse. Then the heavy riff becomes part of a very pretty, memorable chorus. The pick for the single of this album, without a doubt. Brandon Summers and Benjamin Weikel, prove themselves to be astute students of the realm of Psychedelia, which maintains the Beatles, Jimi Hendrix and Brian Eno among the sainted in its league of shining knights; and adept as innovators— brilliantly crafting for themselves here, a distinct sound of their own. On the basis of the wonderful “Demographics” alone, it is plain to see that Helio Sequence have before them a very fortuitous destiny, indeed. As to how they may evolve is hard to say. One can only wish them well in their musical journey and hope to hear the results of what they create along the way. However, the possibility that the pair might have an album in them that could sustain the emotional magnitude of “Demographics,” hovers like an angel above the band. And that potentiality is certainly enough to compel most to want to watch closely in the future the progress of Helio Sequence. Veteran guitarist/vocalist Mark Copeland has spent nearly a decade in the local trenches, first with Dashboard Mary and Funknot in the early ‘90s, then with the Furleys in the mid-’90s. Mark Talley met up with Copeland in the Furleys after a tenure as sax man for Funk ‘n’ Judy, something of a sister band to Funknot. Here they are joined by the rhythm section of bassist Tom Kay and drummer Ken Ollis, both alumni of PSU’s Music program and pianist Darrell Grant. Those Funk roots show up from time to time on this project, but much of Copeland’s music is more closely aligned to Rock, perhaps along the lines of Lenny Kravitz. Slightly retro, but with enough hooks and variety to keep things musically interesting. Part of that is due to the fact that Copeland and Halley recorded five of the dozen songs presented here with another band, The previous band, drummer Gene Ermel, bassist Rob Schreconcost and guitarist Eric Flagel, while having plenty of chops of their own, cannot match the subtlety Kay and Ollis demonstrate. “Turn Around” turns on a fairly Funky beat, a sort of Dave Matthews sort of number, decorated nicely by Copeland’s sharp vocal harmonies in the choruses, augmented by Talley’s sonorous sax work. Ollis and Kay again set up a smart rhythm on “What Do You Need,” a fairly straight ahead Rock tune. Again tight vocals in the choruses add to the effect, as does a familiar guitar theme in the verses. “Reason” shows potential with a nice blend of the guitar and sax in the verses. The old unit is featured on “Everlasting Embrace” and they funk it up a bit more than their successors, with more nice, Steely Dan-ish guitar/sax interplay in the verses. Cool. The former ensemble ensures that “Matter of Time” too hits a funkier stride, with Talley’s twin sax section livening up the proceedings. A memorable chorus helps the song, as well. The group adds the Funk to the droll, Cake-like rap of “Drive Me Distraction,” as well as the rockier “Dream Day.” The heavier sound displayed on “Tomorrow” seems to predict what Copeland and Talley explore further with Ollis and Kay. Ollis and Kay prove they are capable of the Funk on “Power Trak,” and layer a more Jazz oriented feel to Talley’s “Pray Here.” Ollis, especially, deserves mention for his deft cymbal work in the verses. Probably the strongest song of the dozen is “Between Us,” a melodic piece of ear candy. Over a tantalizingly artful rhythm section, Copeland weaves a fine brocade of words and music. Copeland breaks out the acoustic guitar on the last track, Talley’s “Dinner Party.” Without further accompaniment, Copeland carries out the number with a sense of restrained urgency. 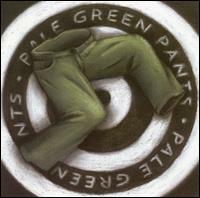 By far, Pale Green Pants, is the most accessible band in which Copeland and Talley have performed. The recording is sparse, as if recorded on 8-tracks, with the sense that the band tried to make every track count, without adding so much that they could not replicate the sound on the live stage. The songs are memorable and original without sounding too familiar or shopworn, The addition of a keyboard player might be nice for this material. But, overall, this is a very enjoyable recording, by a band with a lot of promise. Lee Jones in the ‘70s, as well as an extended stint in Seattle in the ‘80s, before her arrival in Portland in the early ‘90s, Wilde has proven that she has the music in her heart. The daughter of Jazz composer Calvin Jackson, she has the music of the ‘40s and ‘50s in her blood as well. Here, along with her sixteen-piece orchestra, she cuts through a bakers dozen of standards from the golden era of song. It’s a cavalcade of chestnuts: four songs by Buddy Johnson, probably best known as the composer of “Since I Fell For You,” the ‘60s hit for Lenny Welch (which Lily covers here), as well as a couple songs from the pen of one of the masters, Harold Arlen. In addition the band covers songs written by Louis Jordan, Louis Prima and Earl Bostic, among others. And their versions are impeccable. The sixteen piece big band, featuring some of Portland’s best brass and reed players, including trumpeter Gavin Bondy, trombonist Monte Skillings and reedmen Chris Mercer and Danny Schaufler, cut through drummer Tom Royer’s smart arrangements with intrepid assurance. Wilde, whose husky alto is down in Cleo Laine’s range, has a clear, clean, precise presentation, making up with ubiquitous technique for what she might lack in originality. But she’s a very good singer, to be sure. “Mister Five By Five” is a sparking piece of early jump stylings, nicely captured by engineer Craig Brock of Poundhouse Studios. “Since I Fell For You” is treated more as a Blues, like Nina Simone’s treatment, less the torch song version Lenny Welch made famous. Buddy Johnson’s “No More Love” maintains the Blues attitude, somewhat similar in style to Ray Charles’ “Hit The Road Jack.” Bondy’s blistering trumpet solo lights up the middle break. “Tess’s Torch Song” a Harold Arlen show tune is given the full Big Band treatment, embellished by Pete Peterson’s stand out sax solo. Getting a chance to stretch out on the Louis Jordan instrumental “Onion” several members take solo breaks. alto sax man Bryan Dickerson. gives way to Peterson on tenor sax then Stan Bock on trombone. The swinging “Rip Van Winkle” allows Lily to showcase her chops, stacking harmony tracks on top of her lead vocals— sounding like the Andrews Sisters, lowered half an octave. Two more Buddy Johnson tunes follow, first the New Orleans tinged Blues of “Til My Baby Comes Back,” upon which Lily presents one of her best vocal performances. Johnson’s “Go Ahead And Rock” doesn’t really, but provides a smooth showcase for successive solos by Bill Beach on piano, Chris Schell on trumpet and Lew Chapman, whose trombone work truly stands out. Closer to early Boogie woogie/Rock is Louis Prima’s “Oh Babe,” a sprightly uptempo number. Wilde’s take on the old warhorse “Stormy Weather,” is unique, breaking free of the vocal structure made famous by Lena Horne and Billie Holiday and imitated ever since— which is refreshing, to say the least. Lily’s reading is closer to that of Etta James. Refreshing too is her lively delivery of “Work Baby Work,” a hopping finale to the set. 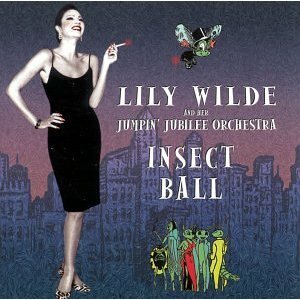 Lily Wilde and band are authentic and concise in their presentations, certainly a great show band, the likes of which are seldom found anymore. It’s certainty that Britney Spears isn’t going to break into “Boogie Woogie Bugle Boy” on her next release, nor would it be the greatest career move if she should. 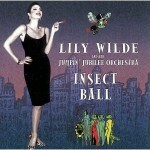 But for Lily Wilde, the music fits. It’s part of her heritage and she wears it well: like a second skin. 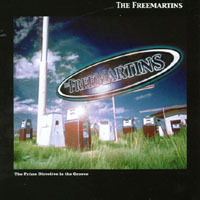 Combining Rock, Funk, R&B and Hip Hop with sometimes strong socio/political ideas in unusual and original ways, the Freemartins evolved from Tilting At Windmills, who had a modest run in the local scene in the late ‘90s. 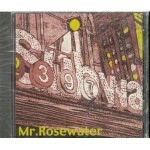 Here, the band puts its influences to great use, producing intelligent, well-executed music with a distinctive message. The first four songs, recorded at Sound Impressions, hit the listener with real impact. The remaining eight tunes, recorded at Bargain Basement Studios, still pack plenty of punch, but the “in-your-face” quality of their predecessors is lacking. “Mr. Anderson” kicks off with a swirls of funky horn samples, before the rhythm section of drummer Steve Valente and bassist Eric Luvaas kick in with an insistent Funk thang, as vocalist Skipp Milne precisely delivers his incisive social observations (similar in some ways to the virulent political stance of Rage Against The Machine), a whispered rap. “Sentimental guillotine, chopping through the menacing cool/Watch the head roll down to the bottom of the hill/It’s a fantasy life, including all the fantasy rules/Watch the body subjugated to majority will.” Love songs? I don’t think so. There’s not a lot of romance in “…subjugated to majority will,” though there is certainly a degree of truth to the phrase. The call and response of the Soulful flavored “Clever Little You” allows Milne to explore a different aspect of his vocal personality. Here he sounds more like Rob Thomas of Matchbox 20, as guitarist Tobe Anderson’s grizzled lead lines rasp against the cool groove of the rhythm section. Regis Bristol’s spot-on background vocals helps immeasurably to enhance the soulful mood. A fiery guitar/keyboard interplay drives the chorus of “Me Against The World.” And Anderson’s short guitar solo in the break is especially zesty. A solid song. “No Time” cooks ferociously with a funky underpinning and further guitar virtuosity from Anderson. “Gone Away” moves closer to a Rock format, a song about interpersonal relationships though from a decidedly oblique angle: “I feel a little sad because the world got torn apart/I guess it couldn’t take the strain of revolving around you and the sun/Feels a little strange now that the world got torn apart/I guess it couldn’t understand that you were the center of the universe.” A strong chorus and further furious guitar work from Anderson, make of this song another winner. Returning to a more aggressive posture, the band again scores with “We Fall.’ Milne’s extensive vocabulary lends the material an intellectual depth not always found in the rap idiom. Another powerful chorus helps to lodge the song permanently in the listener’s mind. Cool R&B horn samples drive the frantic “ Freedom,” a well-developed diatribe aimed at a decidedly visible portion of American society, the money-hungry rich. The acoustic guitar of “That Is Over” could have been lifted from Sublime’s “What I Got.” But it pushes the song into a direction that is different from the rest of the material. “Devilicious” attempts to move into the heavy Metal arena, with mixed results. “Pavement” is far more successful, combining shredded guitar riffage in the choruses with plaintive keyboard twitters in the verses to create a soft aural bed upon the which the vocal rap lies. A little like Living Color playing with Talking Heads in early Faith No More. Yikes! The Freemartins are a tough, tight, cerebral outfit who exhibit a great deal of promise. The variety of styles they display, which oftentimes can act as a diluting aspect, watering down a band’s focus, is instead a strength, for the most part, here. Vocalist/lyricist Skipp Milne has a lot to say and the equipment to say it. The band presents an array of abilities and possibilities. It will be interesting to watch where they go from here. The sky would seem to be the limit. We last heard from Mr. Rosewater in October. With the recording reviewed there, they displayed a knack for light, funky jazz, but a lack of real direction. Here, they seem a little more focused, but a few of the problems remain as well. Whichever the case, the band seems intent on becoming the Booker T and the MGs of the new millennium. It is difficult to release an instrumental album without a strong melodic presence in the lead. Guitarist Andrew Field is great at setting up the chord progression and getting his musical project off the ground. But he is not yet a lead guitar superstar. Drummer Evan Louden (a graduate of Mourning Tuesday) and bassist Jason Mellow do their parts with solid support, as do guest players: keyboardist Jeff Baxter, percussionist Spencer White and saxman Fendel (who has since officially joined the band in the place of Thomas Smith from the last recording). But Field seems intent on being the driving force of the band. And, as with the previous recording, that doesn’t always work. These guys can really play. Check out “Fire Marshall” where Field really cuts loose with more than a riff or two. Here, aided by Baxter’s stellar synth contributions, he takes off for the stratosphere. But even then, one longs for the song to return to a vocal of some kind. Some reference point. But that never happens. There are a few guitarists out there, such as Pat Metheny, Joe Satriani, Eric Johnson and Jeff Beck to name a few, who can sustain an album by simply going off. But even with their technical expertise, their appeal attracts a limited audience, Their musical palette is reduced. Their choices are limited. Other guitarists, Carlos Santana, Jimi Hendrix, Stevie Ray Vaughan and Eric Clapton among them, have found that they are most fully complemented in the context of a song. Their music is certainly more accessible. Accessibility is definitely not the end-all or be-all of every musician. Many musicians have their own, individual artistic visions to pursue. With Mr. Rosewater, that vision is not altogether clear. There is the sense here that Field is moving toward something, that ultimately may or may not work, but that he has yet to arrive at his destination. And so it seems that there is still something missing here. As if an element were missing in the chemical composition; a color missing from the spectrum, something just doesn’t seem quite right. Without a doubt we will hear from the members of Mr. Rosewater gain. In what configuration and under what circumstances remain yet to be seen.